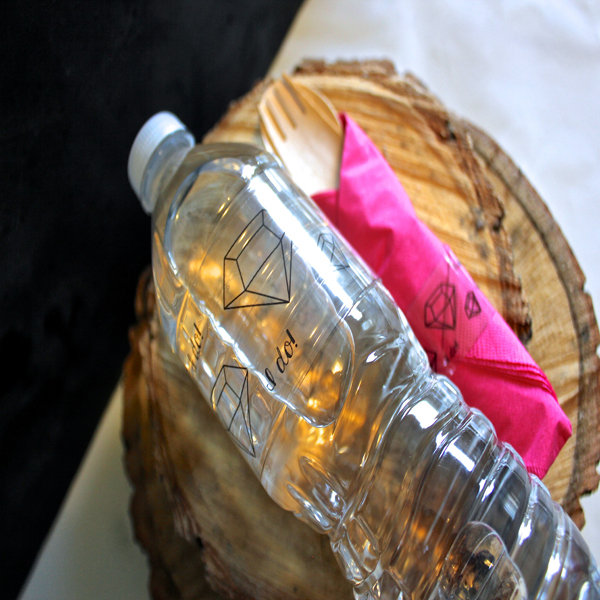 Project Description: Add the perfect finishing touch to your party or shower with transparent water bottle labels and napkin rings. Choose from Ducky Shower, I Do Diamonds, or Owl Party. 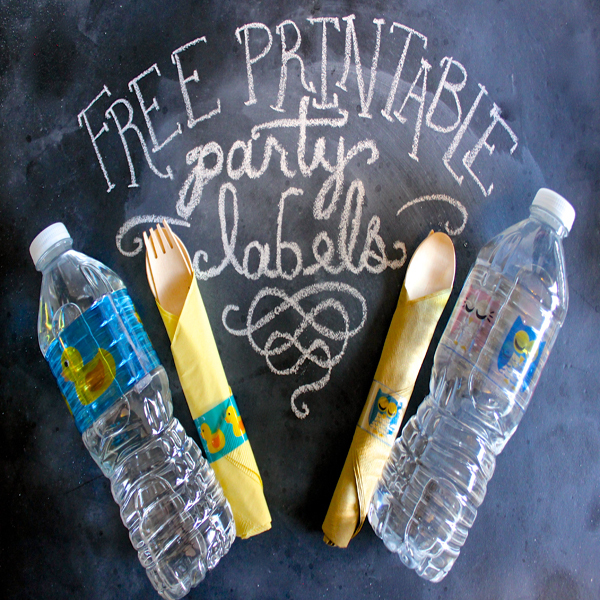 Or, I’ll show you how to make your own monogrammed labels! I’m choosing to print these on clear ink jet transparency film, made by Grafix. I think it’s fun that these are see-through, and it makes things look just a little more unique and special. Download the PDF of your choice. You’ll notice that the words are written backwards. Load the film into the printer so that the image will be printed on the rougher side. Flip the transparency film over so the words face the right direction. Cut the labels apart. Each page has a set of 4 labels. 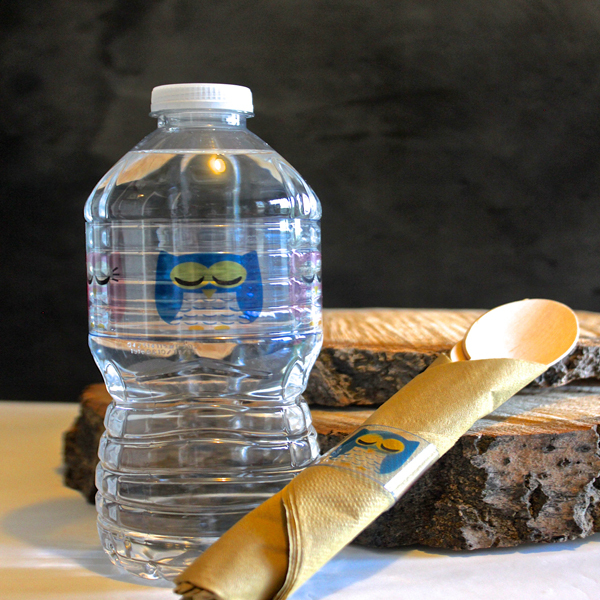 Remove the label from a water bottle, and then adhere the new transparency label with double-stick tape. Repeat with the napkin ring labels. You can make your own monogram labels, too. Open a word processing program and create a text box. 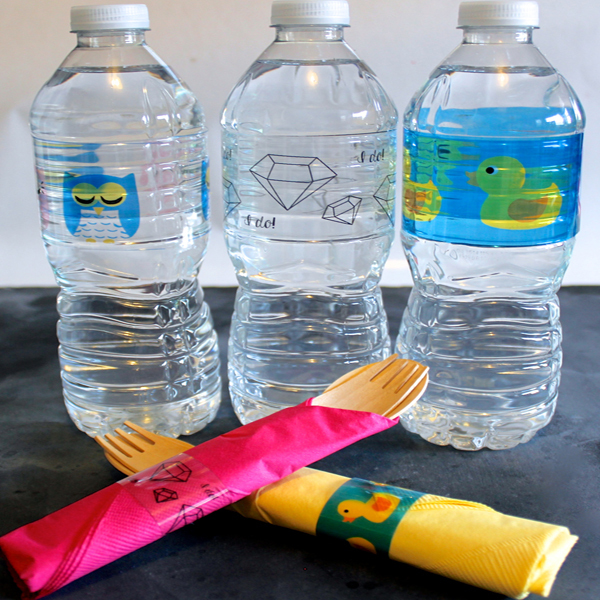 Change the size to 2 x 8.5 inches for water bottle labels, and 1 x 4 inches for napkin rings. Change the text box fill color. Change the font and text size, then center. If you’re printing on transparency film, you’ll need to print the text backwards. On some programs, this option will be under rotation, on others you might need to look for a “reflect” or “mirror” option. Alternately, some printers allow you to select reverse printing from the print setting menu.